“Digital” is about more than just technologies and online platforms. Brands that thrive online have a combination of skillsets, tools, processes, and attitudes that make them agile and adaptable. They have the capabilities and confidence to take advantage of every opportunity to engage their ideal customers and grow their brand. 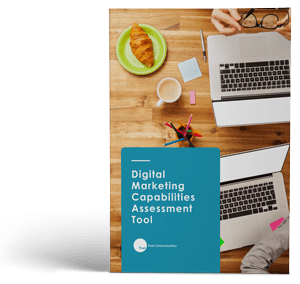 The Digital Marketing Capabilities Assessment asks 9 questions to help determine your overall digital marketing capabilities health.